I got this is the mail today. 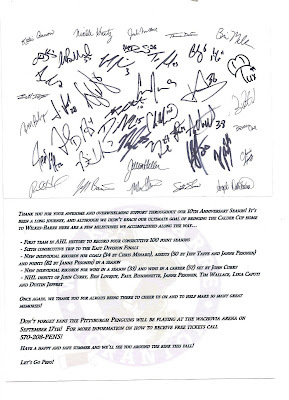 The Wilkes-Barre/Scranton Penguins are first class. They will bring a Calder Cup to Wilkes-Barre one day. I promise.